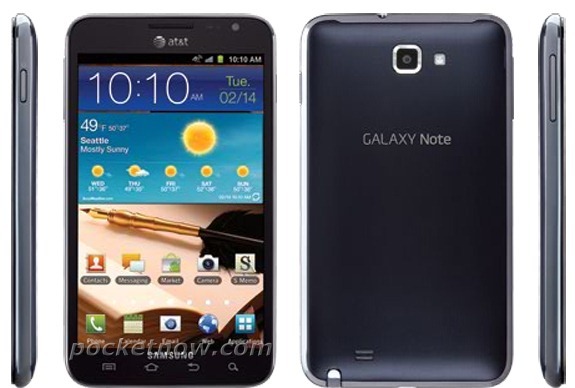 We've been hearing quite a few rumors over the past few weeks that the monstrous Galaxy Note is finally coming to AT&T, with one accessory manufacturer outing a possible release timeframe of "early 2012." Looks like that may indeed be the case, as an official press shot of the Note with AT&T branding has leaked with the date of Tuesday, February 14th prominently displayed on the homescreen. We completely expect Samsung and AT&T to make the U.S. Note official at next week's CES conference in Las Vegas, so hopefully we'll get an official release date at that time.